And as a creative group and designers, developers and marketing pros, we’re comfy with disagreements around here. One might even say they abound. But one thing we all agree on is that interactive online assets deliver better performance. A Demand Metric study shows that interactive content generates increased sharing (17% sharing with passive shifts to 38% for interactive) and conversions (from 36% to 70%). A recent study conducted by the Content Marketing Institute and Ion Interactive found that 81% of marketers who responded agreed that interactive content grabs more attention and 79% agreed that it enhances retention of branding messaging when combined with traditional marketing tactics. 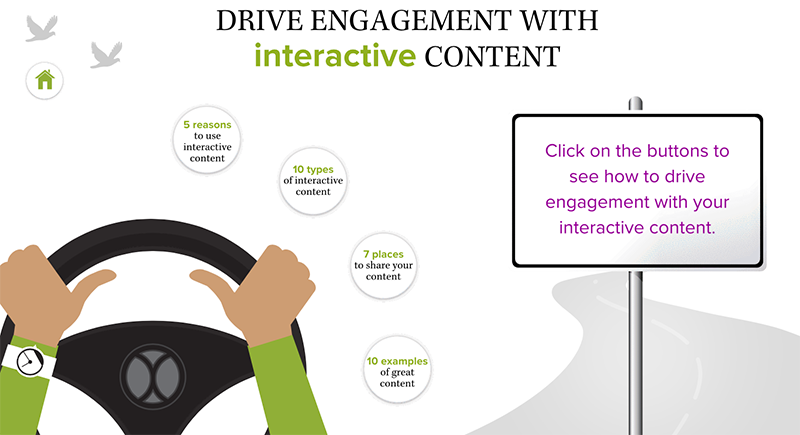 Why is interactive content so successful? Because these kinds of customer-centric digital experiences enable two-way communications. It’s akin to having a friendly conversation with a customer rather than watch them stroll through your store from afar. Learn more by checking out this little piece of interactive content our team put together… because irony is fun! Whether you’re working on making your Annual Report more interactive, creating a holiday card that truly engages, developing a media pitch that generates greater buzz, or sharing regional info in an informative way, interactive content can help you build online relationships that will last.